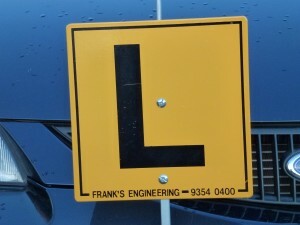 Learning to Drive is not rocket science, but to a novice driver it can be a daunting task. So the secret is to break it down into bite size chunks. First we find a quite location in Swan Hill, free of traffic and pedestrians. All instructors have their own style and manner of teaching and I’m no different. I like to start with something so basic but often overlooked, in fact I have yet to meet a student that can show me. How to adjust the Drivers seat for your correct Height, Leg and Arm reach. When I am done you can hop in any car and 5 to 10 seconds later you will be set to go. Once the seat is adjusted I will show you how to correctly adjust your mirrors. From there its MIB and away. And from there your knowledge and confidence just builds and builds and before you know we are driving around town.